Property 12: Beautiful chalet! Pets OK-Game Area-Fireplace-WiFi-Close 2 Slopes! Property 15: Book your summer travel today!!!! Property 24: Treehouse in the woods, with Master loft. Minutes from skiing! Property 25: Pocono spring special $800 week during Spring break. Dog friendly. 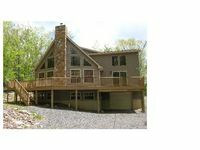 Property 26: New Beautiful Pocono Chalet, Private Wooded Lot. Property 33: Come Enjoy the Poconos the way they were meant to be Enjoyed! Property 38: Cozy getaway for a Family Friendly Venue! Only 1 mile away from Wolf Run Lake! Property 39: DISCOUNT RATES FOR MAY! YOU WILL NOT BELIEVE WHAT THIS CHALET HAS! 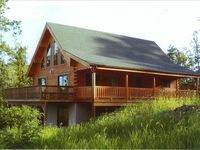 Property 44: Beautiful Relaxing Chalet over looking georgeous Lake Harmony! Property 46: Deer Crossing Summer Getaway - Lake Harmony Estates - Boating Lake - Pets! Property 48: CIGAR FEST May 3-4th! POOL TABLE, WIFI, FIRE PIT! Close to Lake! Our family had a great time during spring break. We had a lot of fun with the canoe on Lake Harmony. The fire pit was excellent. And our kids loved all the games in the cabin.